Beep beep! Toot toot! 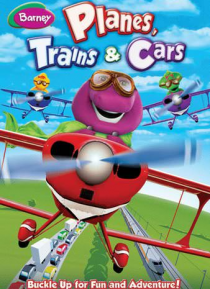 Make way for Barney and friends as they embark on fantastic adventures to places near and far. Using planes, trains, cars, trucks, boats, bikes and their imaginations, Barney engineers fun with songs and stories about exciting places. He shares important safety tips with kids such as buckling seatbelts, wearing helmets and how to carefully cross the road. Join Barney, BJ, Bab… y Bop and more for a Tee-riffic transportation exploration!